Employees have lunch at Facebook's new London headquarters Dec. 4. The social media giant is facing blowback following revelations that its user data was misused. "You can and arguably should #DeleteFacebook," Chartier wrote, in response to news that Cambridge Analytica, a voter-profiling firm, allegedly collected and used data from 50 million Facebook users without their permission. Chartier's tweet — one of many like it — proved one of his most popular, eliciting 300 retweets and several responses. "People who have been thinking about it, and they're getting inspired to now, or people who had done it recently" reached out in support, he says. Calls for a consumer boycott of Facebook is just one of the company's mounting problems, all stemming from a rapid erosion of public trust. It failed to prevent the dissemination of fake news and misleading ads during the presidential election, and now it appears it failed to keep its users' data safe. Tavis McGinn says he thinks the unauthorized use of data involves more companies than just Cambridge Analytica. "You have to assume that there are many, many other companies who are out there using the data in a similar way," he says. McGinn now has his own research firm called Honest Data, but last year worked for Facebook CEO Mark Zuckerberg and Chief Operating Officer Sheryl Sandberg, conducting reputation research and polling for them. He left after only six months, because he did not like the company's culture, and says Facebook and its executives' reputations have gotten markedly worse since he left. "A lot of the damage has already been done, and it is very hard to rebuild trust," he says. The executives are coming under fire for their response. Facebook's data security chief, Alex Stamos, is leaving by August, amid reports of discord among executives over to handle its many problems. Motley Fool analyst Jason Moser says Facebook executives are hurting its stock price and making its brand problems far worse by not responding to the public outcry. "Mark Zuckerberg made his resolution for 2018 to fix the Facebook platform," he says. "Right now, that's getting off to ... a horrendous start." Facebook could not be reached for comment. Moser says the company is likely to face increased regulatory pressure. On Wednesday, Facebook officials are meeting with congressional staffers. According to news reports, the Federal Trade Commission is investigating the incident. Facebook has grown through acquisition of companies such as Instagram and WhatsApp. But Moser says it isn't likely to win regulators' blessings on any future deals. "Regulators would put that under the microscope, and give it a very thorough examination, because of what we're seeing right now," he says. Meanwhile, Moser says, the #DeleteFacebook movement speaks to an overall disenchantment among users. He says he informally surveys friends and acquaintances about their recent Facebook use. Every one of them reports having cut back. "But then it also has to make you wonder, are Facebook's best days behind it?" David Chartier, the Chicago writer, says he was inspired to quit Facebook after other friends quit. And now, he says, even more friends are following suit. "We just took a little bit of time to talk a different way, maybe we message each other, or some of them use Twitter a little more often, maybe we're even calling each other," he says. 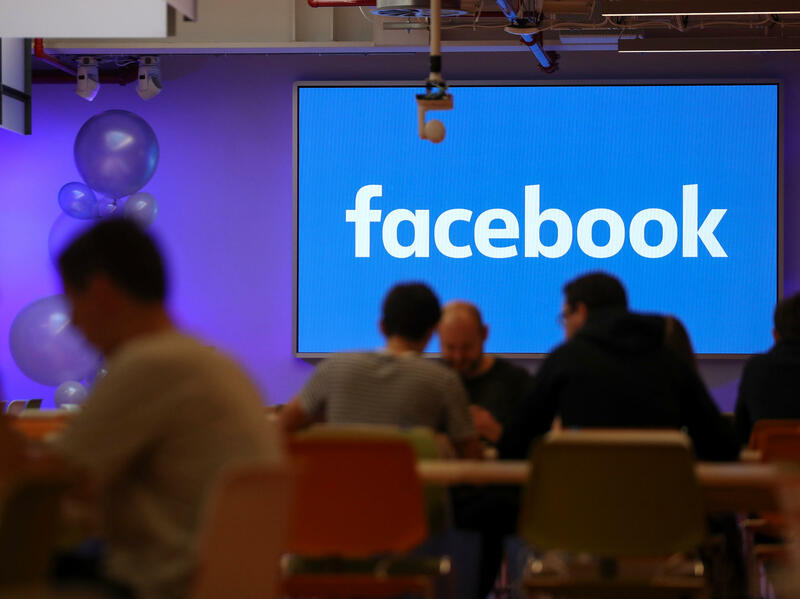 Facebook continues to face blowback from users, regulators and investors. Its stock price fell for a second straight day. Lawmakers are demanding hearings. And some users say they are quitting the social media app. This all follows accusations that a company working with President Trump's 2016 campaign misused the personal data of millions of Facebook users. NPR's Yuki Noguchi reports. YUKI NOGUCHI, BYLINE: Over the weekend, angry former Facebook users turned to Twitter to express their discontent. David Chartier, a freelance writer in Chicago, was one of them. DAVID CHARTIER: You can and arguably should delete Facebook. NOGUCHI: Chartier was responding to news that a voter profiling firm called Cambridge Analytica allegedly collected and used data from 50 million Facebook users without their permission. Chartier's tweet, one of many like it, proved one of his most popular, eliciting 300 retweets and several responses. CHARTIER: People who have been thinking about it - and they're getting inspired to now. Or people who have done it recently - you know, I deleted mine a year ago, and I've never felt better - that kind of thing. NOGUCHI: Calls for a consumer boycott of Facebook is just one of the company's mounting problems. It failed to prevent the dissemination of fake news and misleading ads during the last presidential election. And now it appears it failed to keep its users' data safe. Tavis McGinn says he thinks the unauthorized use of data involves more companies than just Cambridge Analytica. TAVIS MCGINN: You have to assume that there are many, many other companies who are out there using the data in a similar way. NOGUCHI: McGinn now has his own research firm but last year worked for Facebook CEO Mark Zuckerberg and COO Sheryl Sandberg, conducting reputation research and polling for them. He says those problems have gotten markedly worse since he left. MCGINN: A lot of the damage has already been done, and it is very hard to rebuild trust. NOGUCHI: Motley Fool analyst Jason Moser says Facebook executives are hurting its stock price and making its brand problems far worse by not responding to the public outcry. Facebook shares are off nearly 10 percent says the Cambridge Analytica news broke. JASON MOSER: Mark Zuckerberg made his resolution for 2018 to fix the Facebook platform. Right now that's getting off to, I mean, I think we could all say probably a horrendous start. NOGUCHI: Facebook could not be reached for comment. Moser says Facebook is likely to face regulatory pressure. According to news reports, the Federal Trade Commission is investigating the incident. Facebook has grown through acquisition of companies such as Instagram and WhatsApp. But Moser says it isn't likely to win regulators' blessings on any future deals. MOSER: Regulators would put that under the microscope and give it a very thorough examination because of what we're seeing right now. NOGUCHI: Meanwhile, Moser says the Delete Facebook movement speaks to an overall disenchantment among users. He says he informally surveys friends and acquaintances about their recent Facebook use. Every one of them reports having cut back. MOSER: But then it also has to make you wonder, are Facebook's best days behind it? NOGUCHI: David Chartier, the Chicago writer, says he was inspired to quit Facebook after other friends quit. And now he says even more friends are following suit. CHARTIER: We just took a little bit of time to talk a different way. Maybe we message each other. Or some of them use Twitter a little more often. You know, maybe we're even calling each other. NOGUCHI: It's an adjustment, he says, but he's happier for it. Yuki Noguchi, NPR News, Washington. Transcript provided by NPR, Copyright NPR.